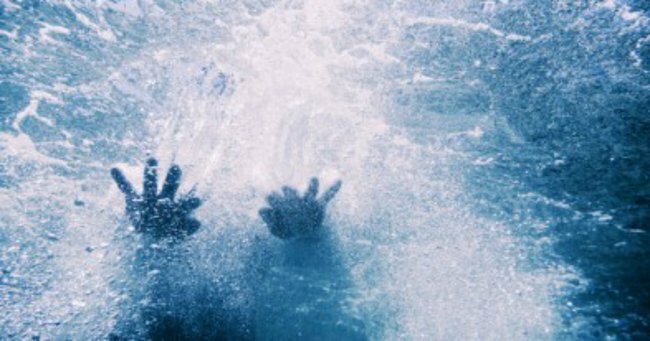 The 10 signs of drowning that every person needs to know. Drowning doesn't always look like drowning. A former lifeguard, he kept his eyes on his victim as he headed straight for the couple swimming between their anchored sportfisher and the beach. “I think he thinks you’re drowning,” the husband said to his wife. They had been splashing each other and she had screamed but now they were just standing, neck-deep on the sand bar. “We’re fine; what is he doing?” she asked, a little annoyed. “We’re fine!” the husband yelled, waving him off, but his captain kept swimming hard. ”Move!” he barked as he sprinted between the stunned owners. How did this captain know—from 50 feet away—what the father couldn’t recognize from just 10? Drowning is not the violent, splashing call for help that most people expect. The captain was trained to recognize drowning by experts and years of experience. The father, on the other hand, had learned what drowning looks like by watching television. “No splashing, no waving, no calls for help at any kind”. Image via iStock. If you spend time on or near the water (hint: that’s all of us) then you should make sure that you and your crew know what to look for whenever people enter the water. Until she cried a tearful, “Daddy,” she hadn’t made a sound. 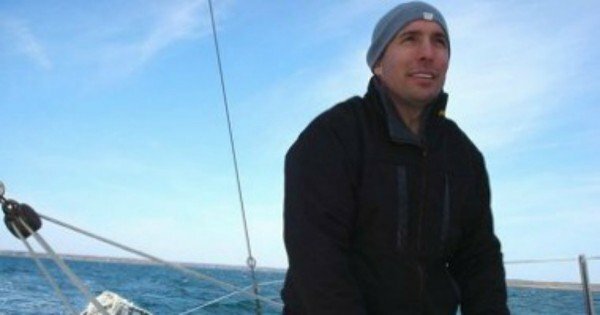 As a former Coast Guard rescue swimmer, I wasn’t surprised at all by this story. The waving, splashing, and yelling that dramatic conditioning (television) prepares us to look for is rarely seen in real life. The Instinctive Drowning Response—so named by Francesco A. Pia, Ph.D., is what people do to avoid actual or perceived suffocation in the water. And it does not look like most people expect. There is very little splashing, no waving, and no yelling or calls for help of any kind. To get an idea of just how quiet and undramatic from the surface drowning can be, consider this: It is the No. 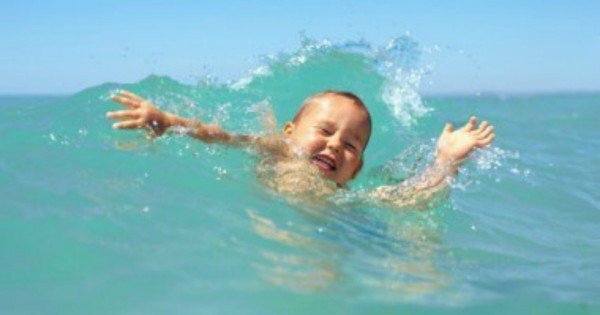 2 cause of accidental death in children, ages 15 and under (just behind vehicle accidents)—of the approximately 750 children who will drown next year, about 375 of them will do so within 25 yards of a parent or other adult. The way drowning in portrayed in movies is very wrong. Post continues after video. Former Coast Guard Mario Vittione. So if a crew member falls overboard and everything looks OK—don’t be too sure. Sometimes the most common indication that someone is drowning is that they don’t look like they’re drowning. They may just look like they are treading water and looking up at the deck. One way to be sure? Ask them, “Are you all right?” If they can answer at all—they probably are. Mamamia Team, I just want you to know you saved a little girl from drowning at Currumbin Beach Qld yesterday. Last week I read to my 9 year old granddaughter your article on the Silent Killer Drowning. My granddaughter was at the beach yesterday surrounded with lots of people she saw this little 3 yr old in trouble, so she yelled out, “she is drowning”, then my other granddaughter and her friend pulled her out. She was given oxygen etc., by the Lifeguards and is alive thanks to your article. Congratulations. This is a testament to how important it is to raise awareness about how to recognise when children may be in danger in the water. Adults – and children – need to be able to spot the warning signs. This article originally appeared on Mario Vittone’s blog. Mario Vittone recently retired from the US Coast Guard. He’s a trained rescue swimmer and boat captain who lives with his family in coastal Virginia. Follow him on Facebook here. Please share this post with friends so that together we can enjoy our time around the water, while being safe at the same time.